Last week we completed the Urban and City efficiency tests on June 23rd, and the Highway efficiency test on June 24th. The Urban efficiency test comprised 8 laps (16mi), 6 stops per lap, while maintaining an average of 22mph. The City efficiency test comprised 15 laps (30mi), 4 stops per lap, while maintaining a 29mph average. The Highway efficiency test comprised 45 laps (90mi), stopping every 5 laps, while maintaining 45mph average. The requirements for this stage were to achieve 2/3rds (67 MPGe) of the 100 MPGe so all of the Alternative Tandem Seat Vehicles are still in the game. We feel well prepared now going into the Dynamic Tests. 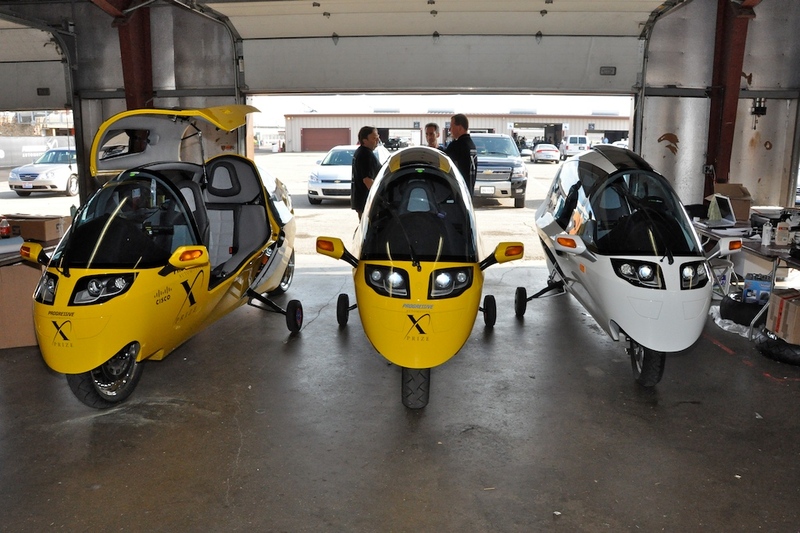 This entry was posted in PIAXP X PRIZE and tagged Efficiency Tests, MPGe, PIAXP, X PRIZE. Bookmark the permalink. Fantastic, I wish you all the best. But where did The White X-Tracer turn up? Gerold. The sound of spaceships. The acceleration of light speed.